If you’re like me, you want to be tuned into cruising 24/7. 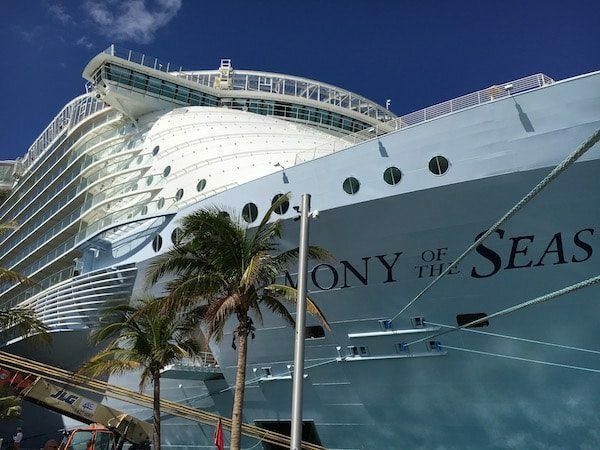 When you’re not on a cruise, you’re planning one. Heck, sometimes you’re planning the next one while on the current one! Fortunately, there are a lot of applications out there to help. Which ones top this frequent cruiser’s must-have list? Here they are, in no particular order! Whether you’re looking to find out where your favorite ship is today, set a countdown clock, ask questions of passengers who’ve already sailed the itinerary you’re considering, or get info about ports from around the world, this app will help you out. My favorite feature? The “User Gallery” section is basically Instagram for cruisers. You can download the ShipMate App here. The folks at Google have saved me more than a few times, most recently when I cracked a tooth in Barcelona and had to get some much-needed pain medicine at the pharmacy. Without Google Translate, I shudder to think what I might have wound up purchasing! As an added bonus, the app works off-line if you download the language you’ll be translating, and you don’t need to be connected to data for it to work. Not every port accepts Mobile Passport yet, but give them time. Right now guests sailing just about any ship out of Port Everglades or catching a flight at 20 major airports can use this app. What does it do? Four words: help you disembark quicker. No more filling out those pesky customs forms, because now you can do it right on your phone. This only works in conjunction with a passport and will not work if you cruise with a birth certificate. You can find out more info on the Mobile Passport app here. I discovered this app a couple years ago; it’s really good for last-minute sailings. You pick which port you want to sail out of, the app displays the cruise line, the price drop, and the cost of the cruise. I’ve never found any amazing deals on this app but it’s great for showing the itineraries and prices. Download the app here. You’d think the largest cruise website in the world would have an app that offered more than just forums, but let’s face it: That’s exactly what thousands of people think of when they think of Cruise Critic. Not only is the app a great resource, but one of the best features is the ability to get mobile alerts if someone responds to your question in the forums. Love the magazines, but wanna save a tree? Consider downloading each new issue to your mobile device. This is especially handy since the magazines have a limited distribution area. Cruise Travel’s app is also great for folks who are looking for a particular back-issue, as they are also available. Be aware, while downloading this app is free, the issues must be purchased! You can download the app in Apple app store. While not all apps are created equal, all of the major cruise lines have an app you can download. Carnival’s Fun Hub has a countdown clock you can personalize with a picture, although the vast majority of the features offered by the various cruise line apps are designed to be used once you board the ship. Generally speaking, you can use the apps to navigate the ship, make restaurant reservations, and check to see how much you’ve spent so far… always a good thing to keep track of! Search your cruise line in the app store to find their latest app. On dry land, you can use technology like how to spy on text messages to track who your child is interacting with and nanny cams to keep an eye on them when you’re not home. However, you should still monitor their activity. Just because you’re on vacation doesn’t mean you should take a vacation from reality. These are just a few of my favorite cruise-related apps. Which are your go-to apps?